Have you ever woken up the next day, post an epic ski or boarding day to feel achy and stiff? 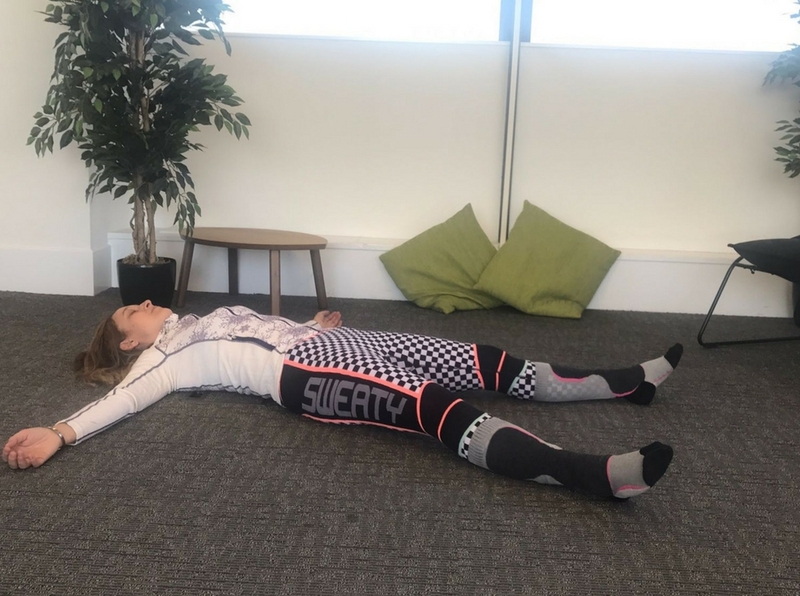 We have our blog on preparatory yoga poses for skiing but here is a blog for the end of the day and instead of Apres-ski in the bar try Apres-ski yoga instead! 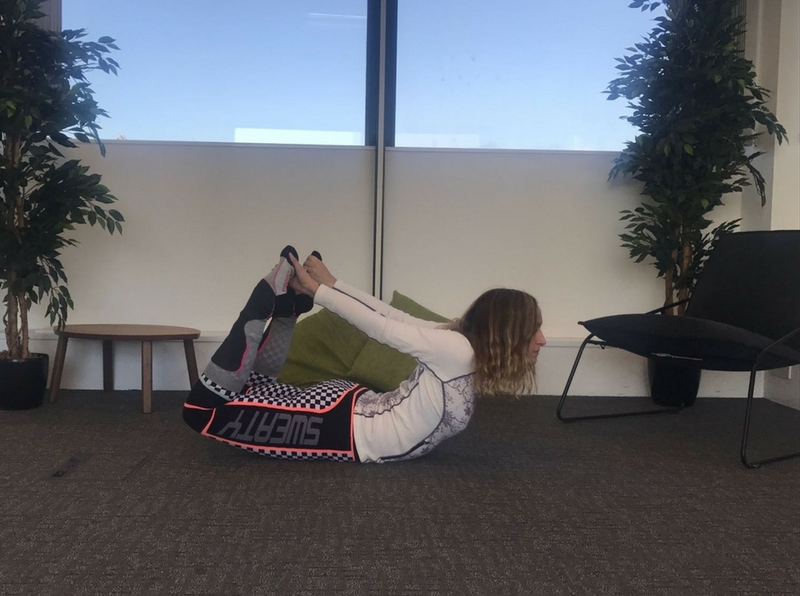 These yoga poses target ski and snowboard specific muscles groups so that you can stay pain-free and are what I do post snowboarding to keep muscle stiffness at bay. 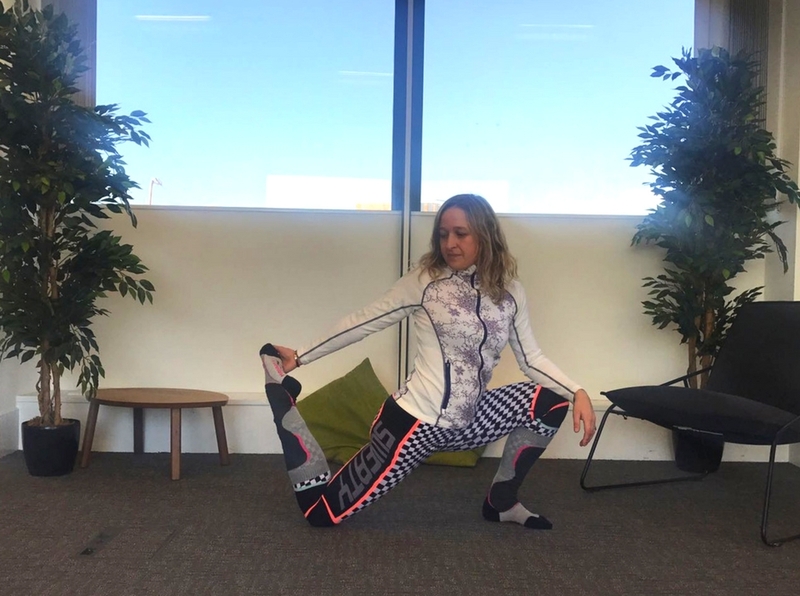 Here’s our blog for the Good Ski Guide about the benefits of yoga for skiing if you want a little more info too! 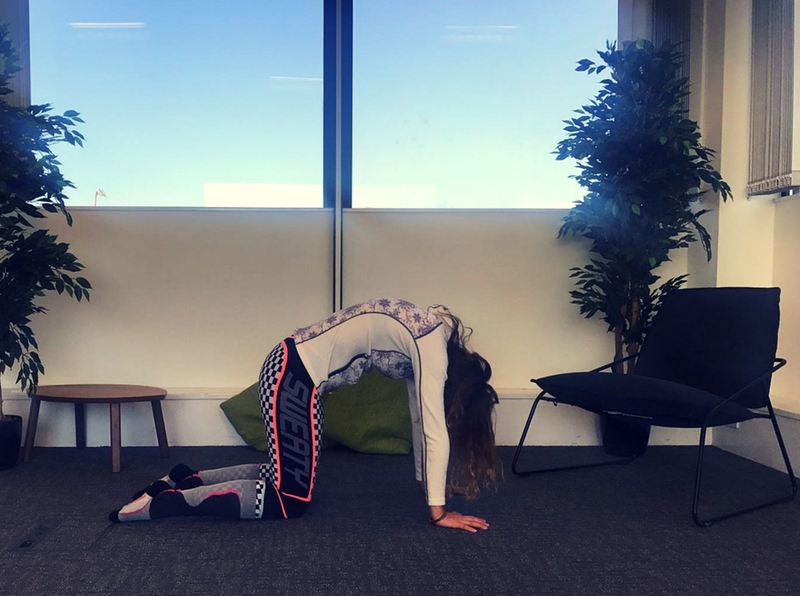 This posture is s great one to start as it calms the body and mind from an active and energy fuelled day. The heart gets a rest and as the body has been racing around in an upright position for up to 8 hours a day, it gives the legs a rest. it is very calming too. A nice twist to the spine to uncoil it. if you have been snowboarding a twist is great to rebalance the sine which ha been twisting all day slightly. This also opens up the hips and bit and the front of the shoulders which is great for skiers after using their ski poles. Coming into cat/cow pose. This stretches out the spine and creates space between the vertebrae that skiing has been compressing all day. 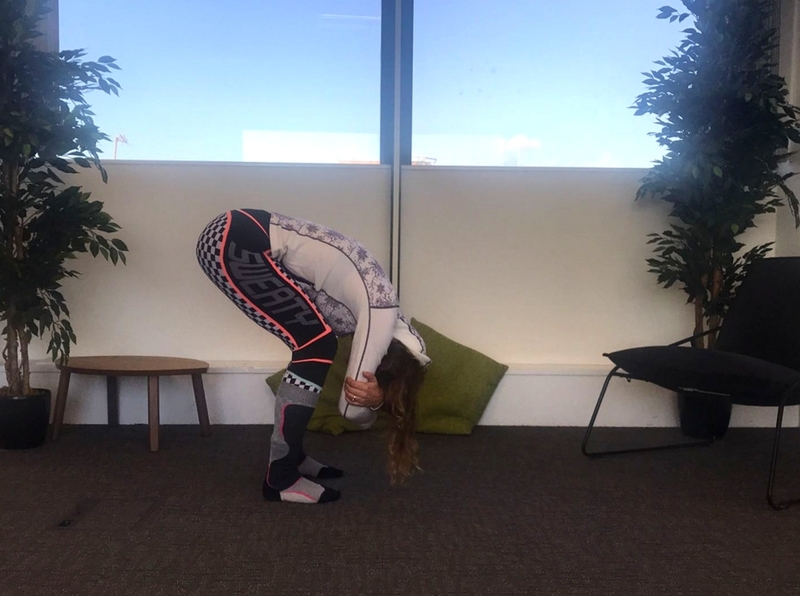 By moving in a figure of 8 with the hips you can also start to loosen the side body and deeper low back muscles that have been overworking and also the bum muscles. An obvious one but always a goody! An overall back body stretcher, getting into those calf muscles which is great for both skiers and snowboarders. From downward dog, bring one leg forward and, with hips squared, start to lunge forward to create a stretch in the front of the back leg. 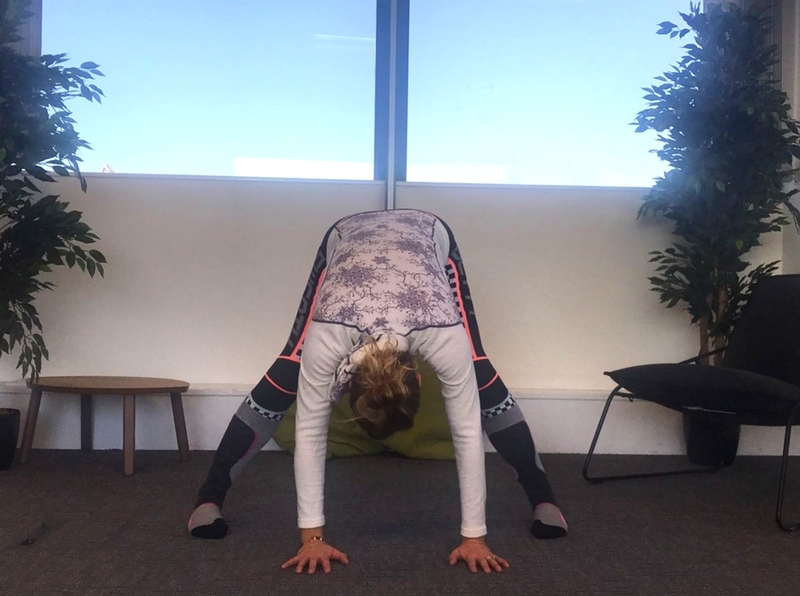 Great for the deep hip muscles like the Psoas and releasing the Quads in the front of the leg which have all been working very hard on the mountain all day! 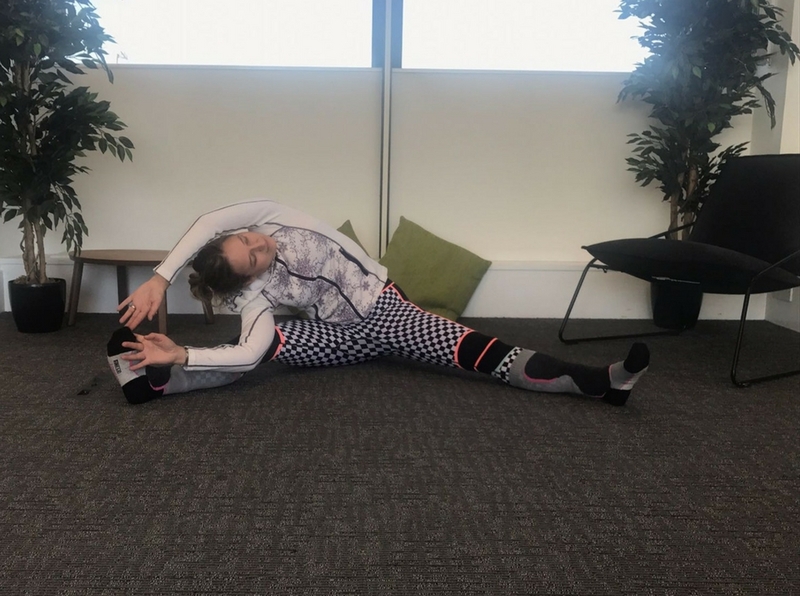 Then lift arm and stretch over to the opposite side to feel a great sid ebody stretch and deepening of the hip flexors stretch. 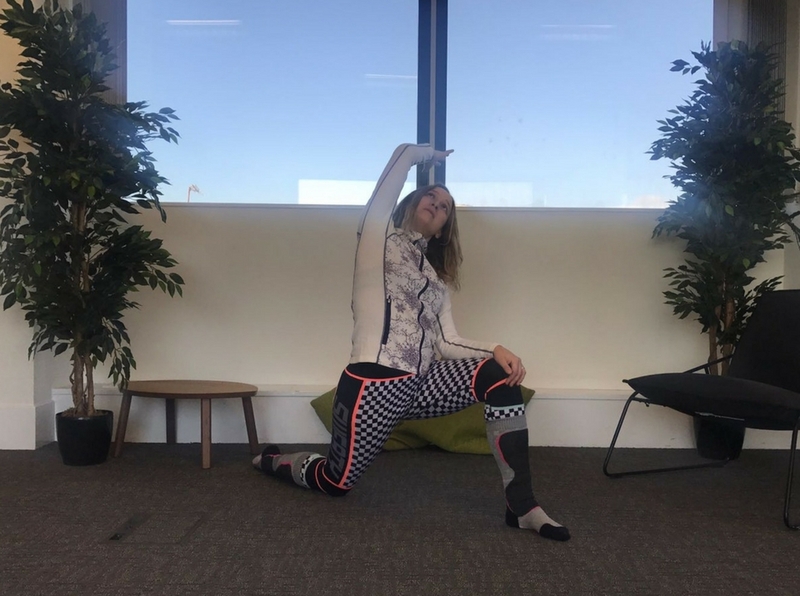 From the lunge – if you want to deepen the stretch to the Quads and Psoas, bend the back leg and reach around with the opposite hand to reach the foot, It’s a deep one – Enjoy! From lunging, lie on your tummy and place the forehead down on the ground. Bend the knees and then reach round to grab the feet. Inhale, and on the exhale loft the head and push the feet into the hand’s and pull the hands towards your head. This creates a friction to be able to bend the back and feel an amazing stretch to the front body. Great after a day of hammering down a mountain! This one is just delicious into those hip and bum muscles. Just fold forwards and close the eyes and breathe. Feel the glutes, the piriformis and the deeper bum muscles open up. A lovely restorative yoga pose after a day on the slopes. 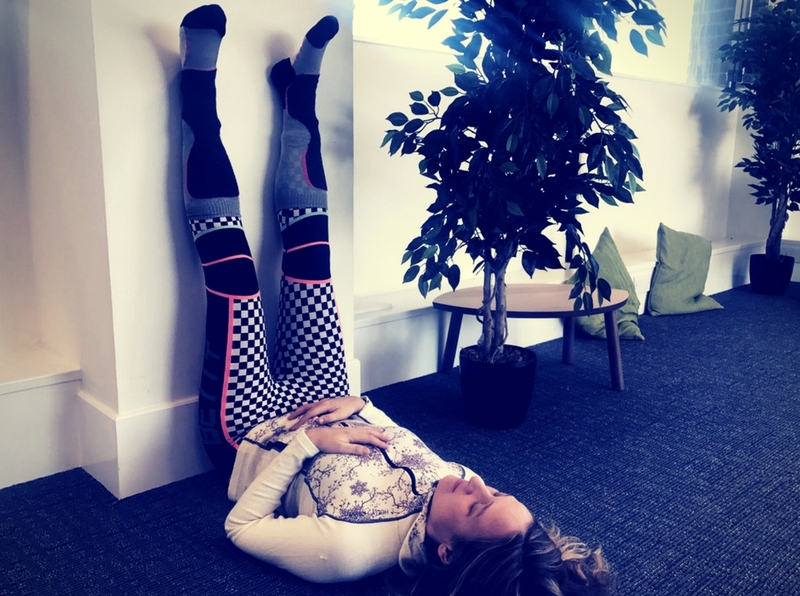 Straighten the legs out in front inhale, exhale and fold forwards. I like to allow my back to around here as it is a restorative version of the forward fold. Close the eyes, breathe and allow the back of the legs and spine and shoulders and neck to slowly open up and release. 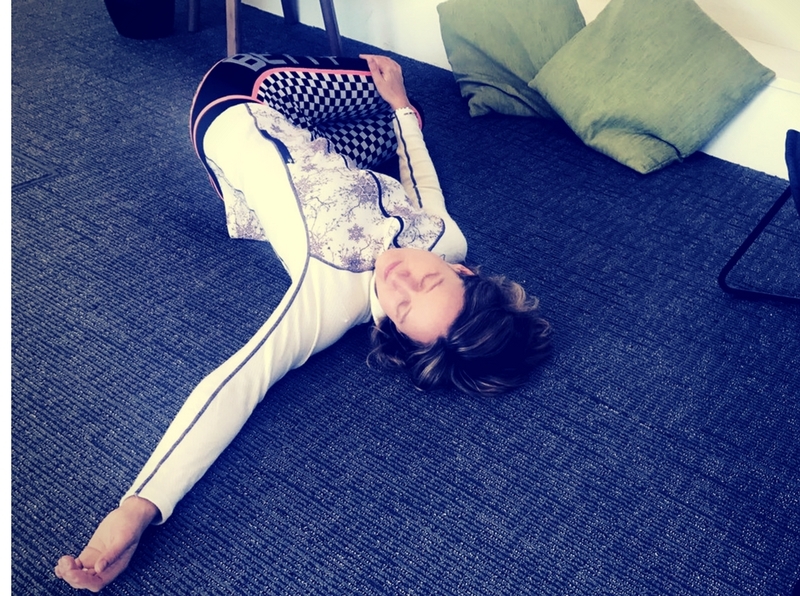 It’s nice to hold this for 3 – 5 minutes as a yin posture for maximum benefit. Just to give the inner thighs a nice stretch out after working so hard too. Again, fold forward rounding the back and stay there for 3 – 5 minutes and really feel the Hamstrings and inner thighs release. From the above pose, simply sit up straight, lift one arm up above the head and then reach to opposite side. Keep the torso in a straight line and allow the bottom arm to reach for the foot or knee, wherever your hand lands. Allow the arm above to reach also for the foot. Don’t worry if it doesn’t get there. 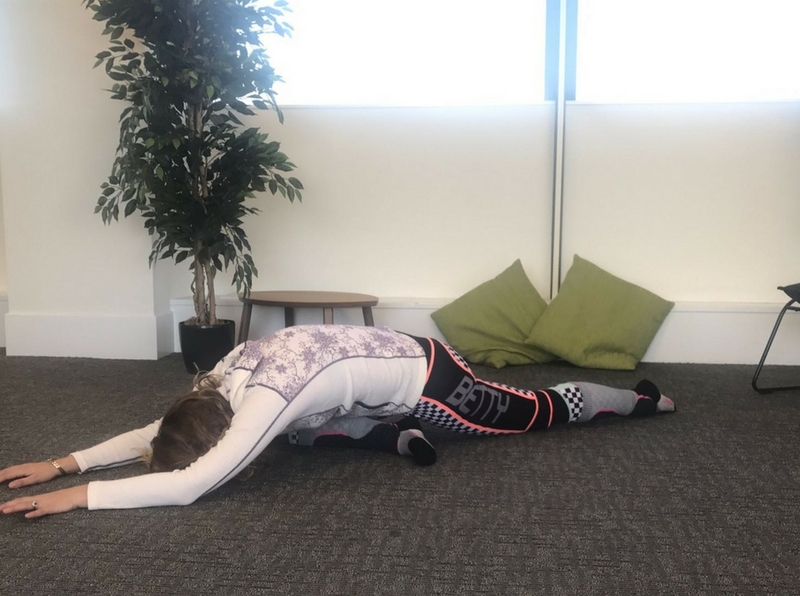 This creates an amazing stretch of the side body and deep muscles of the Quadratus Lamborum (QL) muscles (deep low back stabilising muscles) which have worked very hard all day. The best bit! Not just for Apres-ski yoga! Allow yourself a good 10 minutes, to allow the body and mind to settle and allow the new re-alignment pattern reach its equilibrium. Especially after a day of twisting, bending, and using all these muscles intensively that you may not be used to. There you go! 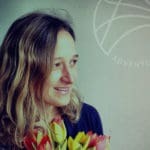 I hope this apres-ski yoga masterclass can help you unwind the body and stretch out and release all the muscles that have been engaged in high energy fun! We offer a morning and evening yoga class on our snowsports and yoga holidays because we find that this is the best way to keep the body ski ready, prevent injury and minimize any muscles pain, strain or aches. 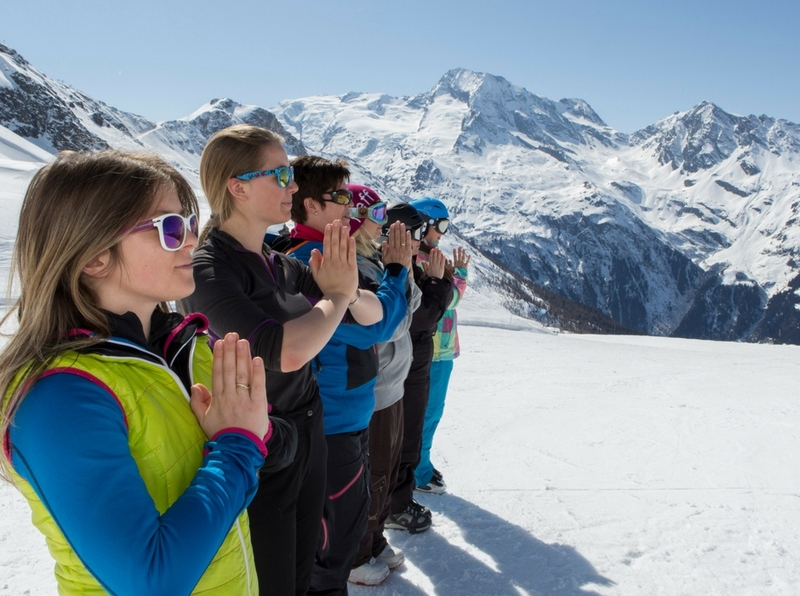 Try out our Morning wake up yoga for skiers blog and check out our snowsports and yoga holidays in the French Alps!